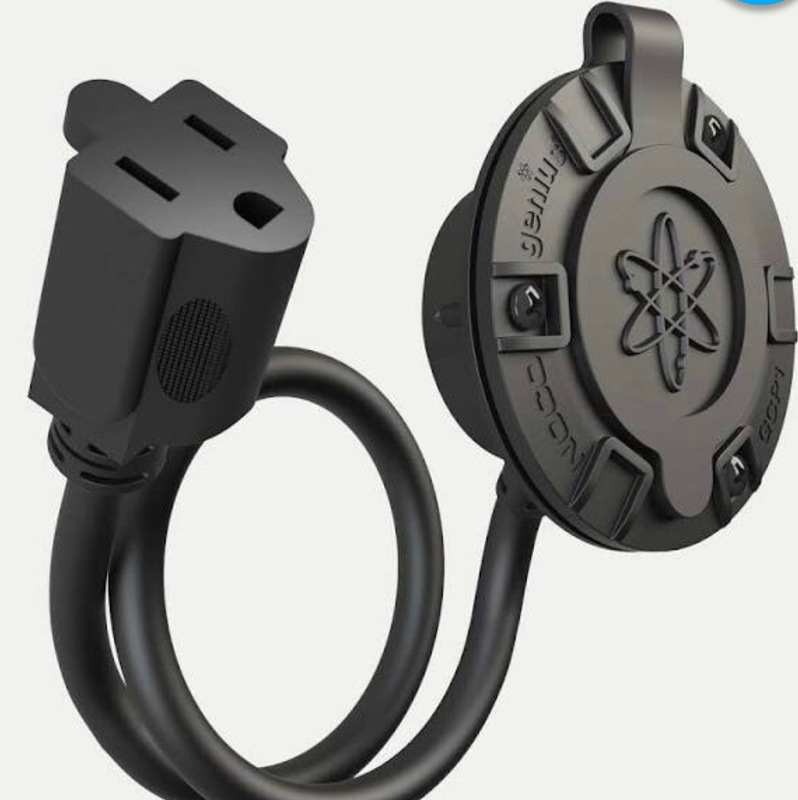 RangerForums.net - Polaris Ranger Forum > Polaris Ranger Forum > Polaris Ranger EV > Has anyone installed a charging port like this? Has anyone installed a charging port like this? Anyway, just wondering if anyone had done this, where did you put it, what are any pros & cons. Thanks. 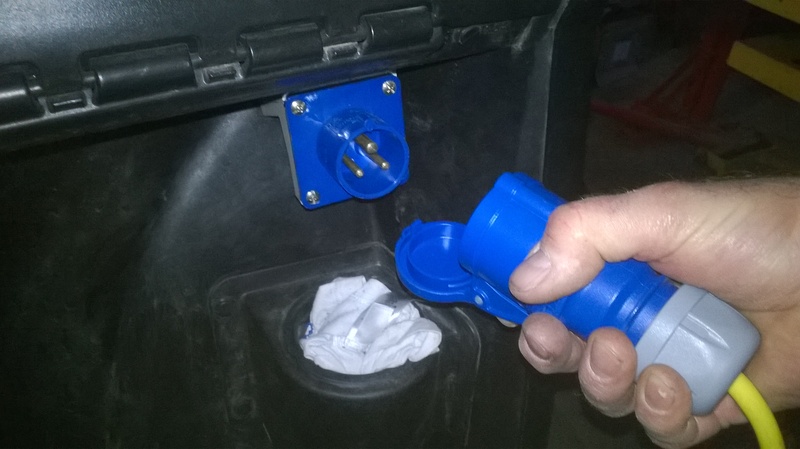 You can drill a hole in the glove compartment and route the power cable through it. Here in the UK the std inlet in the dash, doesnt work well with our much larger 3 pin 13a plugs. The plugs also get hot as time and wear causes resistance on the internal fuse. So I now fit the 16a Inlet as shown, just above the passenger cup holder. Our 2013 EV came with access to the charger power plug in the dash. What year is your's? I thought about using a charger plug like that for my 2017 570 full-size, but i ended up just dropping the plug out under the steering wheel. I ended up doing this because it was simple, out of the way, and I can run the extension cord through the steering wheel to plug it in. This way no one takes off without unplugging it. Hope this helps. This is what I did. Has worked out well. Trolling motor plug below glove compartment. 2016 EV Avalanche Grey/Polaris SportRoof/Seizmik Versa-Fold Windshield/Polaris Lock & Ride Pro-Fit Glass Rear Panel/KFI Rear Tube HD Bumper/Great Day Inc Quick Draw Overhead Gun Rack/Seizmik pursuit side view mirrors /Viper Elite 4,500 lb Wide Spool Winch /EZ turn signal and horn kit/Pro Armor SIXR 14"wheels/Grim reapers 26/9.00/R14 front 26/11.00/R14 rear/Super Daves rear A arm outer & rear shock bushings/cargo bed liner/chainsaw holder/gun grabber rifle holder/poly doors.